Wonder by R J Palacio really is an absolute wonder. 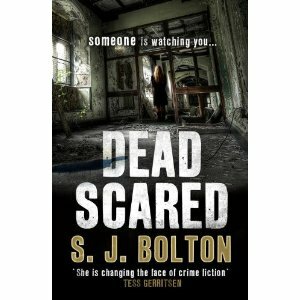 Written for children aged 10 and over, and published by Bodley Head, with a release date of 1 March 2012. So, not long to wait. My recommendation is to either pre-order your copy now or ensure that you are outside the door of the bookshop as soon as it opens on the morning of 1 March. There are some stories and some characters that get under the skin, that feel like an itch that no matter hard you scratch, they just won't go away. August, known as Auggie is one such character. Auggie is the 'wonder' in the title. A small boy who is different on the outside, but inside he's just a kid who likes Star Wars and grilled cheese sandwiches. Auggie's birth was difficult and his life so far has been more so. With a face that is disfigured, Auggie is used to people staring, whispering and looking away quickly when they spot him. Auggie has been home-schooled, but it's time for him to go to middle school and Wonder is the story of his first year in school. The first part of the story is narrated by Auggie - he's a down-to-earth kid, sweet-natured, bright, loving and loved by his family. He is also very different, he wears his hair long so that his face is partly covered, his favourite day is Halloween, because that's the one night that everyone wears a mask and nobody is judged by the way they look. We also hear from Auggie's sister Via, and a couple of his friends. Each voice is unique, each voice tells Auggie's story from their perspective and each voice is brilliantly written. Wonder is fabulous and I'm positive that it will have the same impact as Mark Haddon's The Curious Incident of the Dog in the Nightime. It is a story of hope and survival and a story with the underlying message that it really is what is under the surface that counts. As it says on the back cover of my proof copy; "Don't judge a boy by his face." I could go on and on and on, but I won't. Please, read this book. Encourage your children to read it, lend it to your friends, buy a copy as a present. As Auggie's teacher Mr Browne says; "When given the choice between being right or being kind, choose kind." It's safe to say that I was totally and utterly transfixed by Wonder. I read it during one day and had an almost constant lump in my throat throughout. R J Palacio has created one of the most moving and uplifting books that I have ever read. Auggie will stay with me for a long, long time. 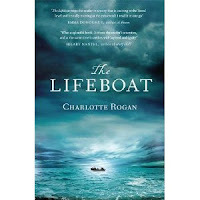 Published by Virago in the UK on 29 March, The Lifeboat is Charlotte Rogan's first novel, and has been picked as one of Waterstone's 11 of 2012. "I was to stand trial for my life. I was twenty-two years old. I had been married for ten weeks and a widow for six"
The words of Grace Winter taken from the prologue of the story of The Lifeboat. Grace and her wealthy banker husband Henry were travelling to New York on the Empress Alexandra in the summer of 1914 when a mysterious explosion ripped through the liner. Henry managed to secure a place in a lifeboat for Grace, but he was not so lucky and perished. It soon becomes clear to Grace and her fellow passengers that there are too many people in the lifeboat, and this is where the story really begins. Under the leadership of ship's crewman Hardie, the assorted travellers will spend the next three weeks at sea. Some will live, some will die, but all of them will discover things about themselves and their companions. Their beliefs, their principles, their morals will be tested to the limit, each and every one of them will be made to face up to the fragility of life. Beginning to read a debut novel is an adventure in itself. Often it can take a while to get used to a style of writing, the structure of a story or the mix of dialogue and description. Not so with The Lifeboat, I was totally engrossed in this novel within the first two pages. Charlotte Rogan's writing is splendid. Grace is brought to life, all her innermost thoughts, and faults are exposed and beautifully drawn. Grace is at times quite selfish, childish, unreliable and very complicated, she is also likeable, realistic and passionate. The other passengers in the lifeboat also jump from the page, from the overbearing Mrs Grant to the mysterious and often cruel Hardie, each one of them are expertly portrayed. The Lifeboat is a tale of survival first and foremost, but underneath this it is a complex and many layered story dealing with friendship, deception, frustration and despair. An outstanding debut novel that had me gripped throughout. Charlotte Rogan really is 'one to watch'. Anna Raverat is a descendant of Gwendolen Raverat, a celebrated English artist and member of the Bloomsbury Group. Signs of Life is Anna's debut novel and has been chosen as a Waterstone's 11; their pick of the best debuts of 2012. Signs of Life is a dark, but compelling story of an out-of-control love affair that happened ten years ago. Rachel writes her story as she sits in the window of her new flat, now alone, her memories and her writing are fragmented and patchy. It is a very clever and talented author who can create such an obnoxious character, yet also create a feeling of compassion towards her from the reader. Not since Zoe Heller's Notes On A Scandal have I disliked a narrator so much, but just like that novel, Signs of Life draws the reader in. From the beginning of Rachel's story it is made clear that her love affair was doomed, as she recalls the events that have clearly shaped the rest of her life the reader gets a feeling of impending disaster, it is clear that Rachel's lover Carl was both damaged and damaging, it is also clear that although Rachel knows that she often acted selfishly and dishonestly, she is trying to justify all of her actions. Rachel feels that to write down her memories, will be to cure herself, but even so there are times during the telling of her story when she struggles to relate the whole truth and in fact realises that the affair will always be a part of her history, no matter how she re-tells it, or how she may justify it. This really is a remarkable debut, with imagery that is at times quite startling. The writing is both seductive and tense with an edge that is quite unique. Fabio Geda is an Italian novelist who writes for several Italian magazines and newspapers. He also works with children in difficulties. In The Sea There Are Crocodiles, published in the UK by Harvill Secker is his first book to be translated into English. This is the fictionalised account of a true story. The recreation of the story of Enaiatollah Akbari, a young Afghan boy who was abandoned by his Mother when they were seeking safety outside Afghanistan. Fabio Geda met Enai whilst in Italy, he has tried to be as true to the story as possible, using Enai's own words and memories. Enai and his mother had fled their homeland of Afghanistan, to find a safer place to live. One morning Enai wakes to find that his Mother has gone, left him with nothing but some sage words of advice; don't use drugs, don't use weapons and don't steal. Enai is ten years old and now alone, in a strange land where he knows nobody. This is the start of a remarkable five year journey for Enai, as he makes his way to Europe with just his Mother's words of advice for company. Fabio Geda has retold Enai's story excellently. Enai is humble child, yet masterful, eager to learn and a hard worker, he stays true to his Mother's teachings throughout his long hard journey across many countries. It is difficult to imagine the horrors that this small child saw and experienced along the way - the human traffickers who take desperate people's money in exchange for a small space in the bottom of a lorry, the deaths that he saw along the way, the 20 odd day trip across the mountains. Enai got through these trials with pure determination and need to find a new life. This is a very relevant book, and pulls no punches. An essential read that will open the eyes of the reader. 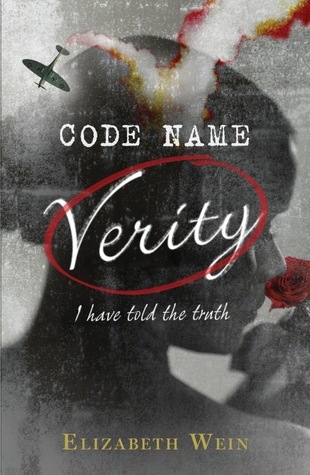 Code Name Verity by Elizabeth Wein is the second book from the Electric Monkey collection, published by Egmont. Set during World War II this is a unique and imaginative Young Adult read. Verity and her friend Maddie are close friends. It's unlikely that without the War their paths would have crossed, coming from such different backgrounds, but War has brought them together. The story opens with Verity being interrogated by the Gestapo, she's been captured and tortured, and is about to spill the secrets of the Allied Forces. Verity chooses to write her confession down, in detail, and it is in this confession that we learn about her dear friend Maddie - how they met, became friends, and how Verity finds herself just where she is now. Despite not even knowing Verity's name for some time, and not even meeting Maddie during the story - these are two warm and realistic characters. So very different; a rich girl from Scotland and a working-class Stockport lass, but united in their strong friendship and in their battle to prove themselves in what is very much a man's world. There are some heart-breaking scenes within this story, yet there is a sense of tremendous strength of character, and a real insight into active service for women during the War. Elizabeth Wein has produced a inventive, fascinating and emotional story with strong female lead characters. Many thanks to the publisher for sending me this to review. You can watch the trailer for the book here. S J Bolton certainly can serve up a page-turning story, I was totally gripped by Dead Scared, a fast-paced thriller, with it's twists and turns and very very strange happenings. Despite not having read the first book in the series about DC Lacey Flint and her boss DI Mark Joesbury, it was not difficult to pick up some of their past history. It was clear from the beginning that they had a somewhat unusual relationship, and their tensions only added to what is at times an incredibly tense story line. The Cambridge setting is wonderful, the university with it's tradition and almost 'other worldy' life is the perfect place for a police drama. The very short chapters, told alternatively from the perspective of different characters works extremely well, leaving the reader hanging on and wanting to know more, and now! There are some pretty brutal descriptions of the apparant student suicides, but these are not out of place and only add to the drama and the suspense. A very clever plot, that kept me guessing right up until the end. OK, so the title is not very inspiring and it doesn't sound like any of the other books that I've reviewed on this blog, but believe me, this is a gem of a book. I laughed out loud, I signed with nostalgia, I nodded in agreement - I enjoyed every page of it. Published in November 2011 by Pen and Sword Books, this is Daniel Blythe's first book in their 'Remember When's series. 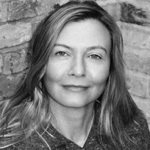 Blythe is a well established author, writing fiction for both adults and children and a collection of non-fiction too. Collecting Gadgets & Games is a real trip down memory lane and takes you back to the simplicity that was childhood in the days before computers, internet and 3D movies. In fact, before the days of four channels on the TV, days when children all over the land were transfixed by a spring that could climb the stairs (The Slinky), or a round orange ball with a weird face that transported you around the garden (The Spacehopper). We are all guilty of looking back at our childhood with rose-tinted spectacles, wishing we were all that innocent and easily pleased again, and this book just adds to those feelings. Daniel Blythe writes a social history book with humour. At the turn of every page the reader discovers yet another long-forgotten classic toy, and the memories return. Very enjoyable to read, full of some interesting and sometimes bizarre facts - Brilliant! 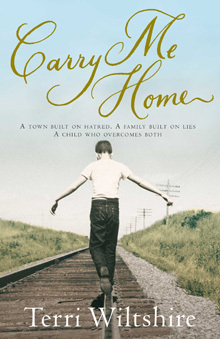 Carry Me Home by Terri Wiltshire was published in 2009, part of the MacMillan New Writing series. 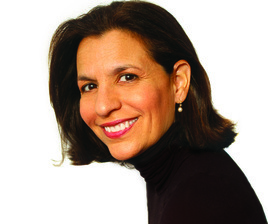 Terri Wiltshire is a former journalist and college lecturer from Alabama. She lived in Wales as a child, and returned to live there full time in 1988. She has written six books for children, and Carry Me Home is her first novel. There are some books that evoke the strongest of emotions in a reader, for me, this was not just a story to read, but a bit of a roller-coaster of an emotional trip too. It's only February, but I may have already found my 'book of the year'. It really is a wonderful, wonderful novel and I'd happily recommend it to everyone. America's Deep South in the early 1900s - a young white girl returns home bruised, with her gown torn. The blame is laid firmly at the feet of the hobo population in town, the vagrants who 'ride the rails'; jumping from train to train, and town to town, looking for work along the way. That girl is Emma Scott, the result of that night is her son Luke. This is Luke's story, told alongside the modern-day story of his great neice Canaan. Canaan spent her formative years desperately longing to leave small-town Landar, and eventually made it to the bright lights of New York City. She's arrived back in Landar, on the verge of divorce and full of bitterness and regret. Canaan has always been Luke's champion - he spent his life being hated by his overbearing Mother, and laughed at by the townsfolk. Canaan spent her life trying to prove that she is better than the unusual family that she was born into. 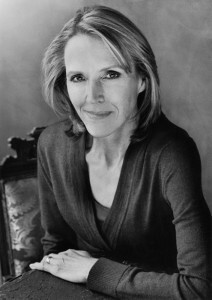 Emma Scott is probably the most hateful fictional mother that I've ever come across. Not once was she shown to have even one ounce of compassion of love in her bones, she used everyone that she came across and vented her hateful feelings on her family - most of all, on Luke. Her first-born who she blamed for everything that didn't happen in her life. Luke was made to live outside, to fend for himself and struggle to survive. Despite this treatment, Luke is a kind and compassionate man, a man with a big heart who given the opportunity would care for anyone who showed him a little kindness. This really is a stunning piece of work, full of characters who will remain in my mind for quite a while yet, alongside a complex and involved plot line that flows beautifully back and forth from modern day to the past.